With a lot of hard work needed, and money still to be raised (to the tune of about $100,000 total for the move), Family Promise of Spokane hopes to move its Open Doors family shelter to the Cassano's Grocery building on Mission Avenue by December. Currently, Open Doors, the only 24/7 emergency shelter in the city for homeless families, has to turn away families with children every night at its location in the Perry Neighborhood. While the city contracts with the shelter for 50 people per night, the shelter has pushed that up to about 65 at times. But there's still more need, says Steve Allen, executive director of Family Promise of Spokane. "We're turning away kids every night," Allen says. In the new space at Cassano's, they envision serving about 80 people per night, with beds that can be rolled out and placed where aisles of canned goods and sauces currently stand in the store. Built in the mid 1940s, the building was noted at the time for using single-span construction, where the entire main room is open, without supports, Allen says. That type of space of course lends itself perfectly for the shelter, and an office that's slightly elevated above the main grocery store will serve as a perfect security location, offering a view of all of the main floor space. The announcement has caused some concern with neighbors in the area, but Allen says he hopes to illustrate to people just how different Open Doors is as a shelter, and he invites people who worry what it might look like to schedule a visit at the current location. "This place is so different, we're talking 40 kids a night," Allen says during a tour of the new space Friday, Oct. 19. "Children never choose to be homeless and have no power not to be." The shelter is built around building support for parents so they can in turn support their kids. Currently, the space operates with a shared family room, with television and games, arts and crafts and regular activities. Families prepare meals and do chores. There's no budget for food, for janitorial, for diapers, Allen says. The families chip in where they can, and the rest comes from donations. And with the staff's supportive system, which includes setting daily goals with the parents — say applying for five jobs today, or getting a driver's license — the average stay at the shelter, which opened in early 2017, has dropped from 49 days to 24, Allen says. In the new building, the hope is there'll be room for even more supportive services. Where cash registers and small grocery lines currently queue up, there will be an entry way and office space that greets the families as they enter. There's more office space downstairs where partner agencies could provide services on site maybe once or twice a week. 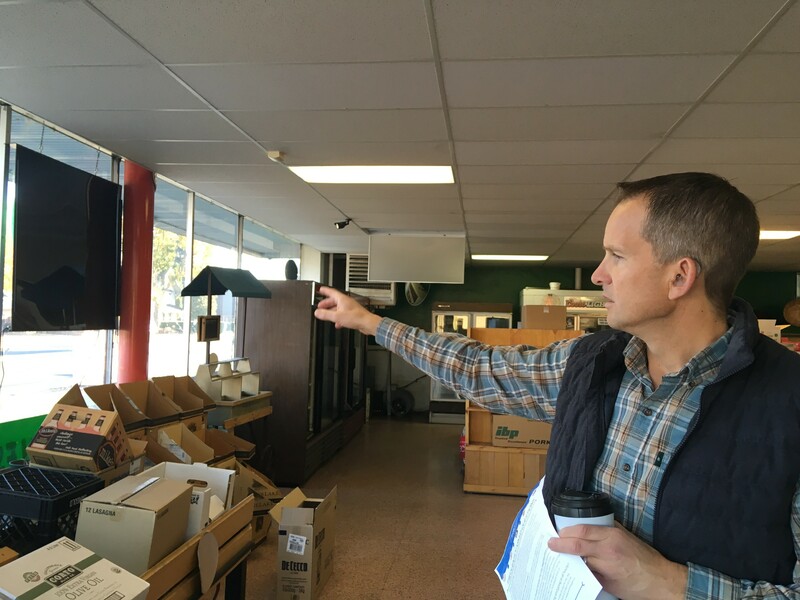 Steve Allen talks about the new Open Doors location in the Cassano's Grocery building on Mission. "There are five offices downstairs and we would love to have satellite offices here," Allen says. "Instead of our families going all over town on the bus, it could all be downstairs." None of those partnerships have been cemented quite yet, as the move into the building is still in the works. While paperwork on a lease-to-own agreement has been signed, there's still a big push to get everything needed, Allen says. The main need right now is about $100,000 to pay for the move and upgrades, which include a new sprinkler system and installation of an ADA-accessible bathroom and shower on the main floor, among other things, Allen says. Several community groups are helping with fundraisers, but Allen says anyone interested in donating can also get in touch at the Family Promise website. He encourages anyone concerned about potential impacts from the new shelter, especially new neighbors, to schedule a visit at the existing location by calling 747-5487. Allen says other skeptics who have already toured the facility said they were impressed and it changed their mind on what the shelter will look like. 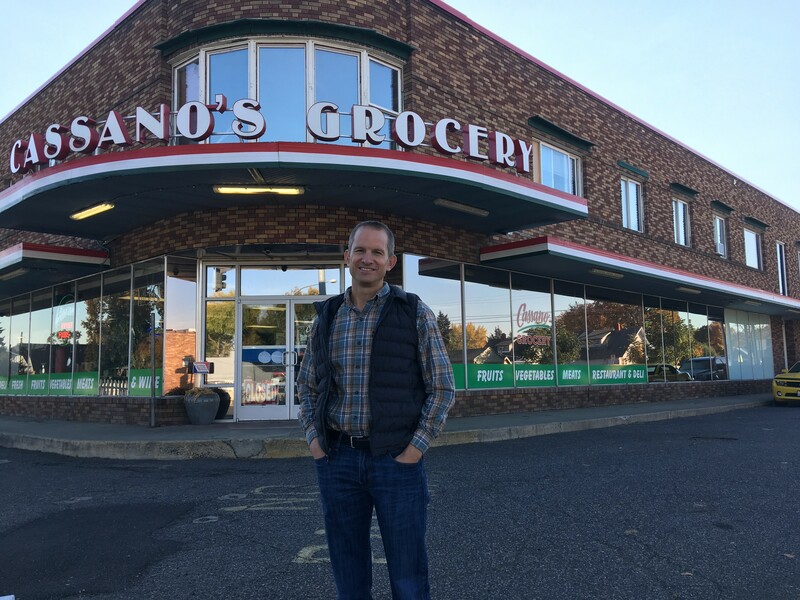 As for the store, the owner of Cassano's plans to take vacation time through the winter and eventually open a smaller grocery store elsewhere, Allen says, and there's a chance he may partner for some weekly meals in the facility. Correction: this article was updated shortly after publication to clarify that Open Doors is the only 24/7 emergency shelter for families in Spokane, not the only shelter for families.